Bloom in eternal spring with grace and style! 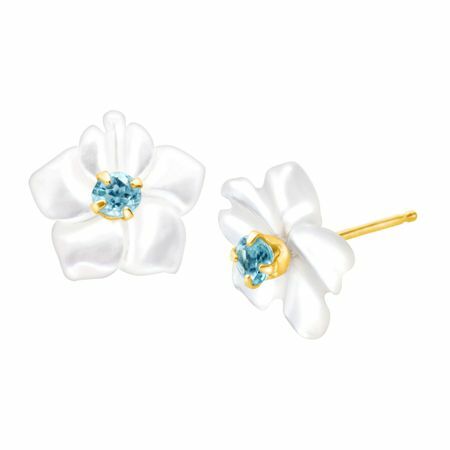 On the center of each gorgeous, mother-of-pearl flower silhouette rests a striking blue topaz stone, finished in 14K gold. Earrings feature post with friction-back back-findings. Pieces measure 3/8 by 3/8 inches.